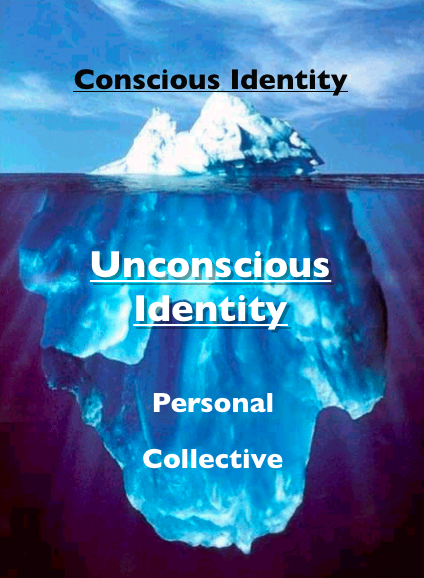 The conscious mind writes the autobiography of our species. Unaware of what is going on deep down inside, the conscious mind assigns itself the starring role. It gives itself credit for performing all sorts of tasks it doesn’t really control. It creates views of the world that highlight those elements it can understand and ignores the rest. As a result, we have become accustomed to a certain constricted way of describing our lives. Plato believed that reason was the civilized part of the brain, and we would be happy so long as reason subdued the primitive passions. Rationalist thinkers believed that logic was the acme of intelligence, and mankind was liberated as reason conquered habit and superstition. … Many of these doctrines have faded, but people are still blind to the way unconscious affections and aversion shape daily life. David Brook, The Social Animal: The Hidden Sources of Love, Character, and Achievement (London: Short Books, 2011), xi- xii. Jennifer Nedelsky, Law’s Relations: A Relational Theory of Self, Autonomy, and Law (New York: Oxford University Press 2011), 118-123. David Brook, The Social Animal: The Hidden Sources of Love, Character, and Achievement (London: Short Books, 2011), 377. I love reading your work, Michael, as it is always insightful and thoughtful. As I read your post, I thought of our human condition. Sinful by nature, people are messy. Each and every one of us has this conscious / subconscious dance going on, and then you bring us together and the dance gets even more complicated. Yet somehow, in these flawed conditions, something amazing can happen. We experience love, joy, sorrow, pain, and on and on through our relationships with one another. And it is imperfectly beautiful. Michael, You wrote, “Indeed, I am here captivated by the idea that the coin of love might have two sides, the conscious and the unconscious. How is such a reality to be nurtured in the sometimes battle field of individualistic traits against communitarian ones and vice versa?” I appreciate your question, given that we tend to nurture more what is going to get us recognition, wealth, etc… (conscious). When do we take the time to nurture the “unconscious” side of the coin? I wonder if live in a way that there is not enough time or room to nurture the unconscious. Thanks, Michael for your insights. Thanks for sharing your thoughts, either consciously or unconsciously, on this Michael. There is a definite needed humility for us as human beings who tend to think the world consists of only what we can process. I appreciated when you said: “There is no central homunculus-no simple self- making decision. The voice in the head may think it is in control, but in fact it is a mere supporting actor, un-aware of the main protagonists down below.” I am challenged about the tension that exists in developing my understanding while being humble enough to recognize that there is always understanding available through community and ultimately through God. Since you have that “village” approach in your background, how does that help you to process the challenges you face? Thanks Deve! The village backgrounds helps me focus on people and which motivates to love people. I believe that loving people helps me be vulnerable and willing trust God for His outcomes when faced with challenges. Happy New Year, Michael! I too found it fascinating the complexity of human nature. As you say, “The voice in the head may think it is in control, but in fact it is a mere supporting actor, un-aware of the main protagonists down below. We are not aware of most of what we see and sense around us, or even of how we are responding to it. We are not who we think we are.” I think knowing the ways our inner and outer minds are wired is helpful to consciously plan ways to nurture them. Thanks for your insights! Thanks Telile. Happy New Year :)! Michael, it is great to be receiving your posts again. I always learn from your insights and challenging thoughts. I think you hit the nail on the head when you suggest that–as a conclusion to Brooks study–is that “our experiences of ourselves are misleading.” This is scary–but don’t you think this is the first step in growing in wisdom? It seems that those who think they have it all figure out, that feel they are acting with total objectivity, that think they have full control of all their faculties, are often those who have the hardest times negotiating through life. They lack humility and are unable to see plank in their own eye. I find it interesting today (since you mentioned neuroscience — which is something I find very interesting but do not begin to understand) that often scientist have this view of total objectivity and fail to believe that they have preconceived ideas or a perspective that effects how and what they do. And many Christians too fail understand the influences on their thinking and theology. If we were all able to admit that maybe we don’t have it all figured out, we might find our world might be a little more peaceable and understanding. Thanks your thoughts! We are holistic beings. It all runs together. Our understandings of biology and medicine have been so helpful in so many ways. Yet, in another sense, they have stunted our growth. Our progress in these areas has often led us toward a narrower way of viewing the world and ourselves than is (ironically) healthy. Your visual aid of the iceberg is a reminder that any particular knowledge must be shared and intermingled with other forms of knowing. We need not only community with each other, we need community within our very self.